For many people the first thing that comes to mind when using their cell phone abroad is “How much is this call costing me?” Many people take their cell phones but don’t end up using them out of fear of a large bill on their doorstep. 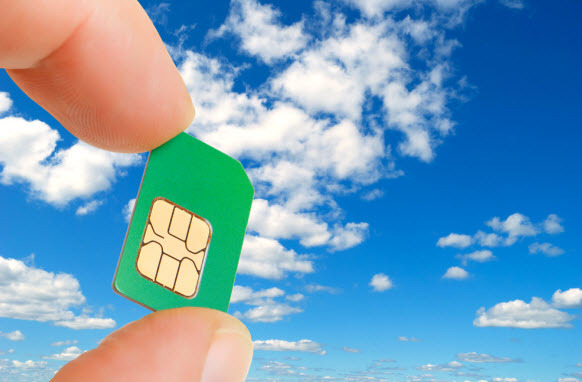 There is the option of buying a local SIM card once you have reached your destination. This may sound easy enough but can turn out to be a nightmare. If you’re lucky enough to pass the ID checks that many European countries have for prepaid SIM cards, you’ll be faced with the hurdle of topping up your prepaid credit. Most cell companies will only accept a credit card from the country the SIM card was issued in. Great if you have an Italian Credit Card and Italian SIM for example, not so great if you have an American Credit Card and Italian SIM. In this case cash would be your only alternative which is fine if you don’t need to top up after the store has closed, or during an afternoon siesta. One alternative is to purchase a SIM card for Europe before you head off on vacation. A Europe SIM card works in all European countries and provides the lowest European call rates across Europe. Our Europe SIM card can be purchased online without complicated ID checks using most major credit cards. Adding credit is easy and done via the website. When your European SIM card arrives, simply insert it into your phone, activate your credit and away you go. No fiddly technical things to do, it just works. How do I insert the Europe SIM card into my cell? Carefully remove the SIM card from its packaging and insert it into the SIM slot in your phone. What’s the difference between a standard SIM, micro SIM and nano SIM?